Podcast (ep. 4): Are You Beach Body Ready Controversy, Third Runway at Heathrow and 4th July – What IS America for? We are joined in this week’s podcast by Ellen Rose (icklenellierose on YouTube and Twitter) who laughs and debates along with Jazza and Jimmy for 45 minutes. 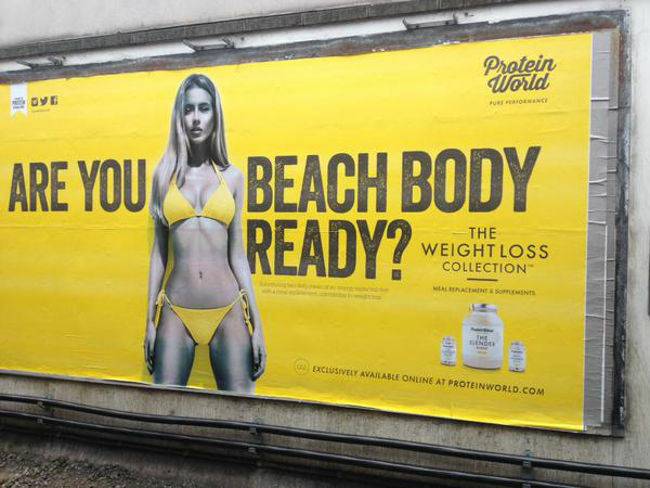 We discuss #ThighGapGate, also known as the Protein World “Are You Beach Body Ready?” controversy, which has been officially declared inoffensive by the Advertising Standards Authority. What kind of message do these adverts send? Should an organisation be able to decide whether something is offensive or not? Or is this just good advertising? Meanwhile the Davies Commission has come down firmly in favour of the third runway at Heathrow Airport, leaving Gatwick and the dream of a new Thames Estuary Airport out in the cold. But after David Cameron (#DavCam) has said he would categorically not back a third runway at Heathrow, where do the Conservatives go from here? Finally, we recorded this on the 4th July, Independence Day and the US’s national celebration of getting rid of the monarchy (though they seem rather obsessed with Kate and Wills’ breeding patterns at the moment). We talk about America’s role in the world and who are our favourite picks for the US presidential elections in 2016. Subscribe to the podcast, leave us as many stars as you feel fit and we’ll see you next week!